“Hello! Welcome! How are “- with a big smile and a few words of Spanish, Alexander Rybak to press Argentina was presented in Buenos Aires on Tuesday 26 April. It was the first day of a stay of no less than two weeks, including a concert in the city of Buenos Aires, Argentine musicians and dancers. He also announced a gift for its Spanish – speaking fans: A music video with their own version of Abrázame the Spanish artist Julio Iglesias. 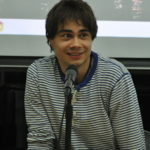 Alexander Rybak was born in 1986 in the capital of Belarus, Minsk. Very little was moved to Norway with his family and started playing the violin when he was 4 years. Norway became famous in 2006 when he won the televised talent show “Kjempesjansen”. Rybak came in 2009 as a participant in an even better known competition: Melodi Grand Prix, the national version of the Eurovision Song Festival. He won more votes than any other winner in the history of the contest, and came to represent Norway in the international competition in Moscow. On May 16, 2009, he played “Fairytale” more than 100 million viewers. 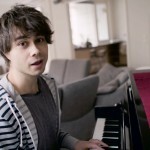 With a total of 387 votes, almost twice its follower, Alexander Rybak became the third Norwegian to win Eurovision artist. In recent years, Rybak has traveled to several countries to recitals and participated in music competitions in Russia, which has a multitude of followers. Last year he published his first book “Trolle and the magic violin”, inspired by the Norwegian folklore and their own experiences. 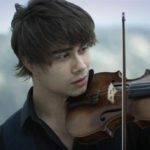 Want to know more about Alexander Rybak? You can visit their website here , or follow him on Facebook or Instagram ! 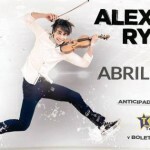 La Nacion – Who is Alexander Rybak?